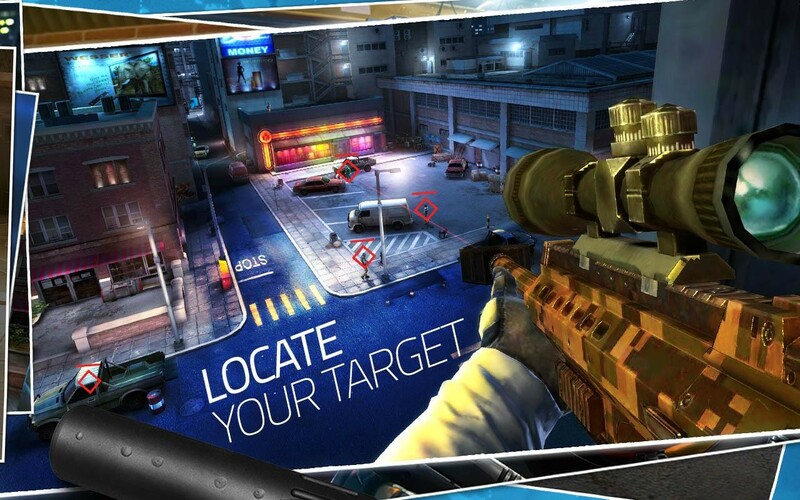 You are a master assassin, hired to infiltrate secure locations and eliminate high-profile targets. Perform lethal strikes and follow your only rule: Honor The Contract. A new threat as appeared! Cyborgs and Mechanized Combat Units are invading cities around the world. Behind this nefarious act is a secret military organization which have been kidnapping scientists for use in developing their once-secret nanocrystal technology, which is at the heart of their cybernetic augmentation project. You have been hired to push back this invasion, at all costs! Face enemies with new powers and deadly tactics in this exciting new campaign! Eliminate a mob of enemies, destroy entire bases or take out the single target that matters most. The next objective is up to you. Take on over 250 missions and campaigns with unique goals. 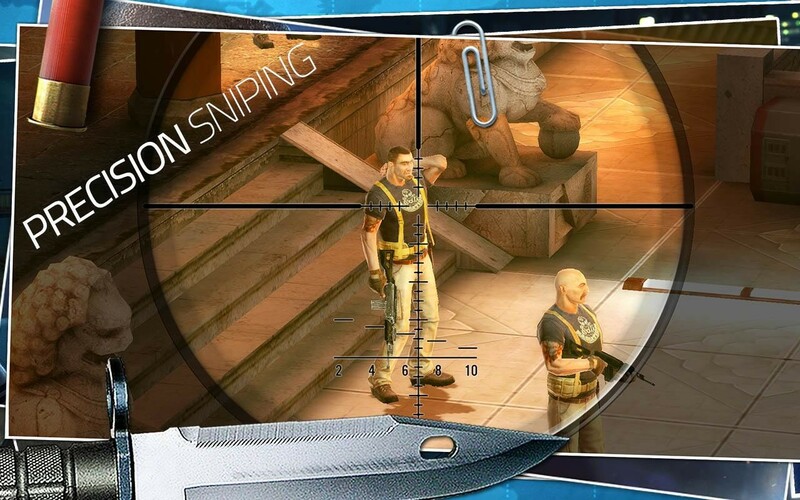 Stake out targets from long-range, take them down with well-placed shots, assault enemy bases head on or infiltrate enemy lines without compromising your identity. Upgrade your weapons and base defenses to protect your stash. Load up on sniper rifles, assault rifles, heavy guns, tesla guns, rocket launchers, throwing knives, med kits, armor, and more. Assault other players’ bases, steal their resources, and become the undisputed champion of PvP. Choose your path through each mission and use cover to your advantage. Disable sentry guns, detonate explosive objects and avoid incoming fire. Move unseen from one location to the next and take on the newest international contracts. It’s up to you to become the ultimate global assassin. Fight back the Cyborg Invasion! Destroy opposing Mechanized Combat Units and devastating bosses! Collect Nanomaterials to evolve your offensive and defensive game. Reign supreme using advanced abilities, devastating weaponry, powerful Mechanized Defensive Units, and more. Contract Killer: Sniper is free to play, but you can choose to pay real money for some extra items.